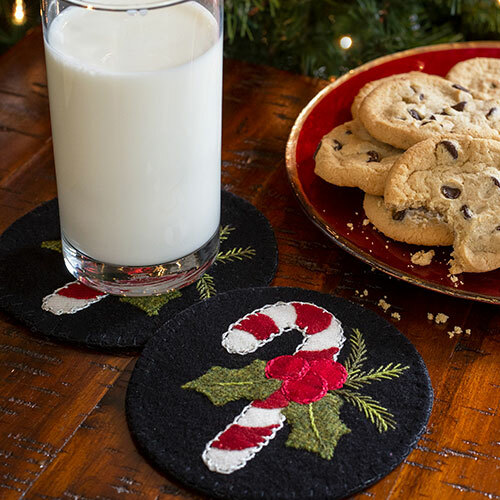 Here's a fun way to use up Jelly Roll precuts and make your own custom placemats. Follow along in this step-by-step tutorial. 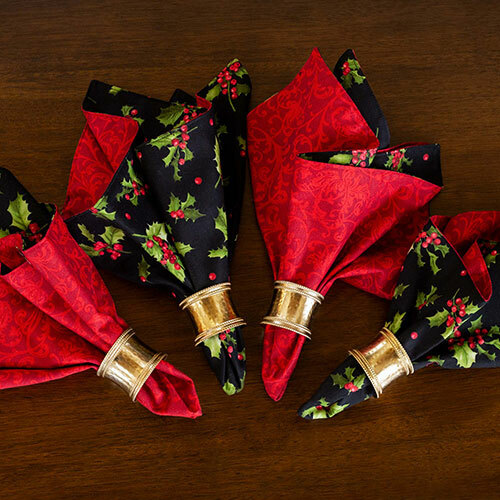 Learn how to make cloth napkins so you can customize your decor and dress up your table. 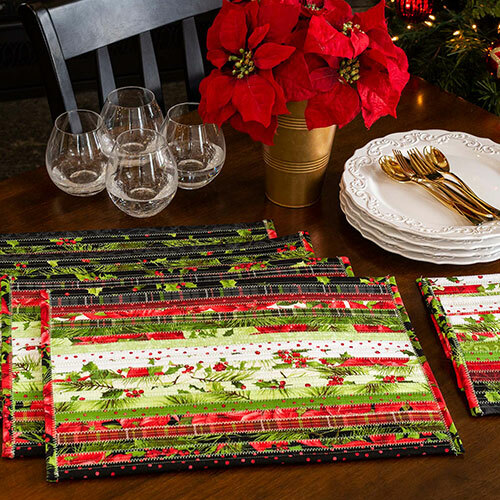 We're using the Poinsettia & Pine Collection from Maywood Studio Fabrics. Make the December Wooly Mug Rug with Jen and Tammy, and learn beautiful new stitches to enhance your embroidery projects. 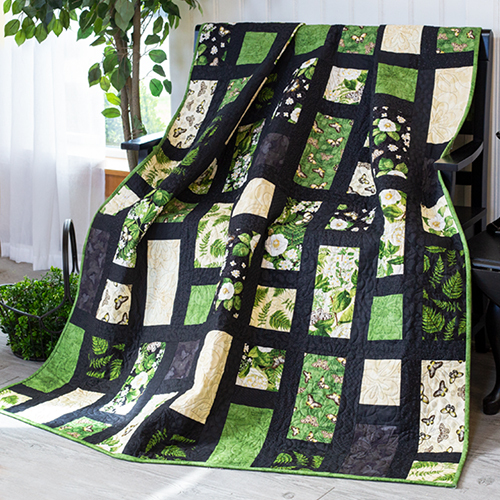 Learn how to make this quilt using pre-cuts from Wilmington Fabrics. 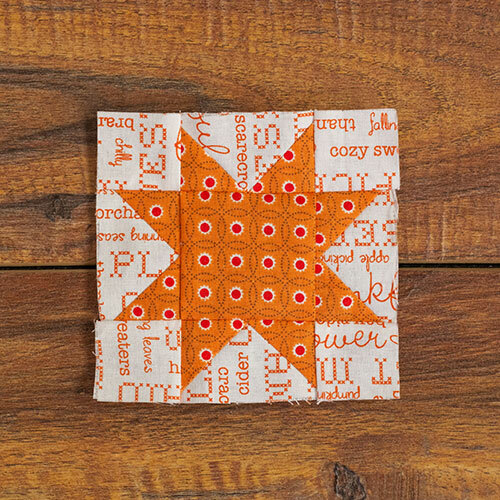 Free quilt pattern included! 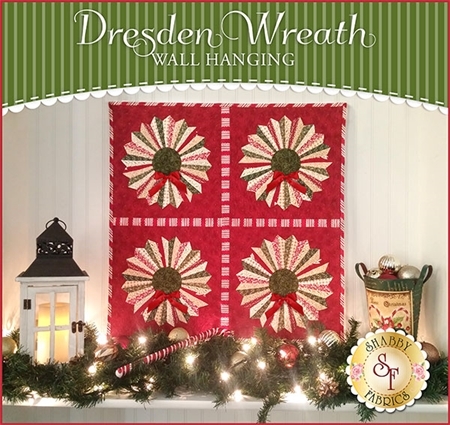 What is a Quilt Block of the Month Program? If you've heard about Block of the Month programs but aren't sure what they are, this is the post for you. 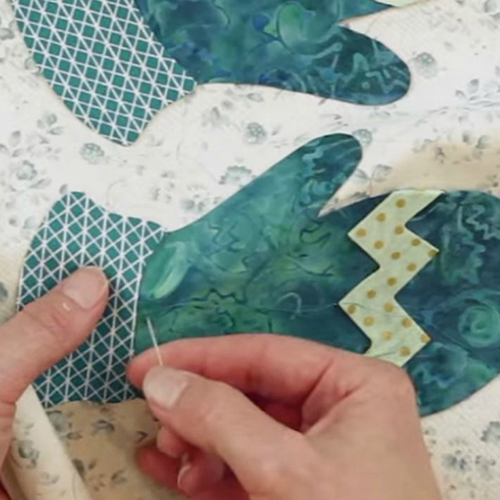 Want to learn how to appliqué? This is the first in a series teaching traditional and fusible appliqué. We made a pretty casserole caddy and needed a delicious meal to go with it. 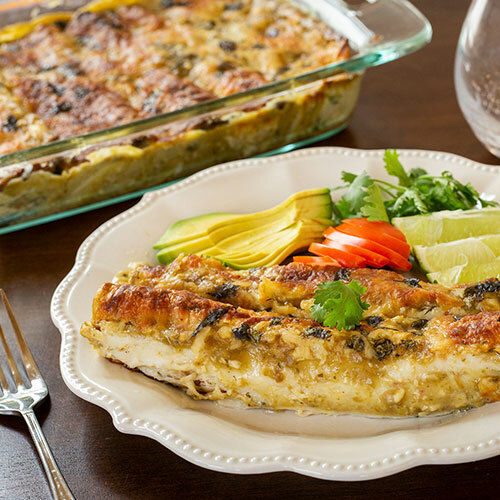 Get the recipe for Jen's Cheesy Chicken Enchiladas! In Week 4 of the Autumn Love Sew Along, we make pieced blocks, and I learn some fun things about the world of quilting. What's next? You'll start receiving update from us soon! Be sure to check your inbox for new blog posts, products and special offers. Join the Shabby Fabrics newsletter and never miss out on new stories and promotions. 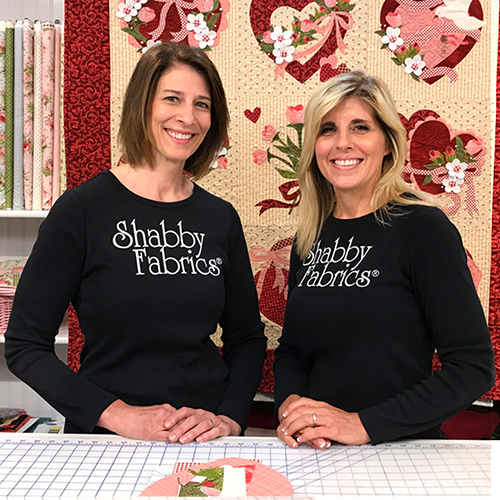 We would like to thank you for taking the time to learn more about how Shabby Fabrics came to be and for being an essential member of Team Shabby. Without you, there would be no us!